With garbage, we know size matters. Commonly referred to as “dumpsters,” front load containers are the most commonly used waste collection receptacle for non-residential, commercial waste collection. 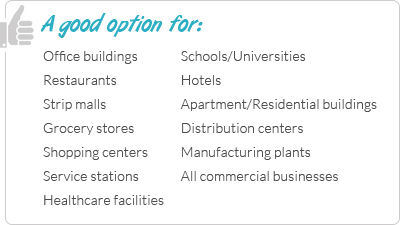 With this service, one or more containers are placed at your place of business in a location that is easily accessible and safe for your cleanup crews and waste-generation areas, as well as our trucks and drivers. Waste must be placed within the container and will be serviced at a minimum of once a week. However, if your waste generation calls for more frequent visits or a larger container, we will do whatever it takes to service your needs. For construction sites and other businesses that generate larger waste loads, Asante Waste Management offers roll-off containers in all sizes. These containers can be placed in almost any safe, sizable location for easy access to the waste. 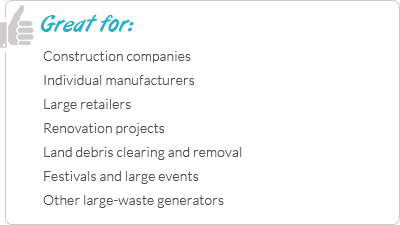 While they are often seen on construction and demolition sites, they can be used for all levels of non-hazardous waste and recycling collection and transportation. 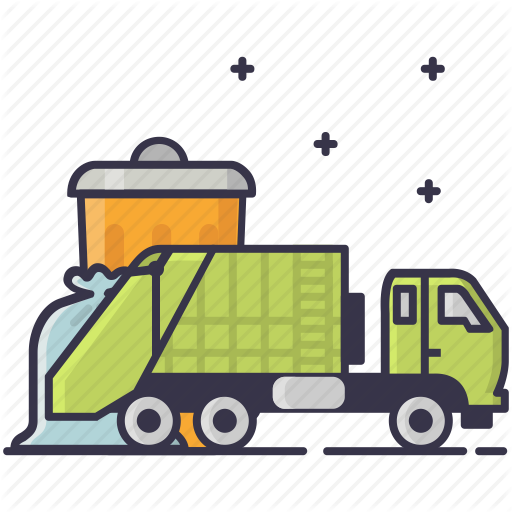 Technicians are trained to consolidate shipments and equipment (including vacuum trucks, tankers and other specialty vehicles) to efficiently collect waste and transport it for either disposal or processing at one of our strategically located Treatment Storage and Disposal Facilities. By deploying the most efficient transportation possible, including trucks modified to improve fuel efficiency, we further reduce both the cost and the environmental impact of each load.